Design for measuring the gelatinization of the starch and the enzyme activity (a-amylase) in the flour. 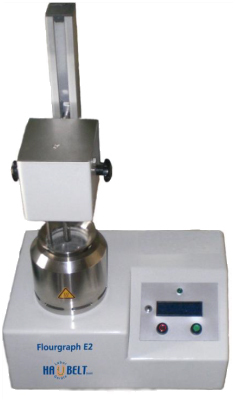 The same computer can also be used to enter the data at the balance and transmit data to the Autosampler, which leads to increased efficiency in the laboratory. An Autosampler reduces the operator time spent with the instrument. Improved Analytical Result The OPSIS LiquidLINE Predictive Titration lowers the Relative Standard Deviation (RSD) and increases the flexibility with different indicators. This gives increased usability of your instruments. The Autosampler also uses a large, refillable burette, that saves time and cost when moving between high and low content protein.